Thanksgiving Day 2003 was when I learned the difference between co-hosting a sports talk show and doing it solo. After co-hosting several shows on the old XTRA Sports 690 in San Diego, I was thrown on the air alone. I had used everything I had prepared for a particular segment yet there were still several minutes left before break. Now what? I was terrified. Eliminate anxiety by preparing more material than you will need. Your degree of nervousness will be in direct inverse proportion to how well prepared you are. If you have a lot of material prepared, you’ll be much less nervous. A great tool to help you develop content is The Topic Tree. It helps you choose what you want to discuss and to organize your thoughts on the day’s hot topics. Download your free copy of the Topic Tree here. You should do this whether you are hosting solo or with a partner. By knowing what you’re talking about each segment, you’ll know what to prepare. 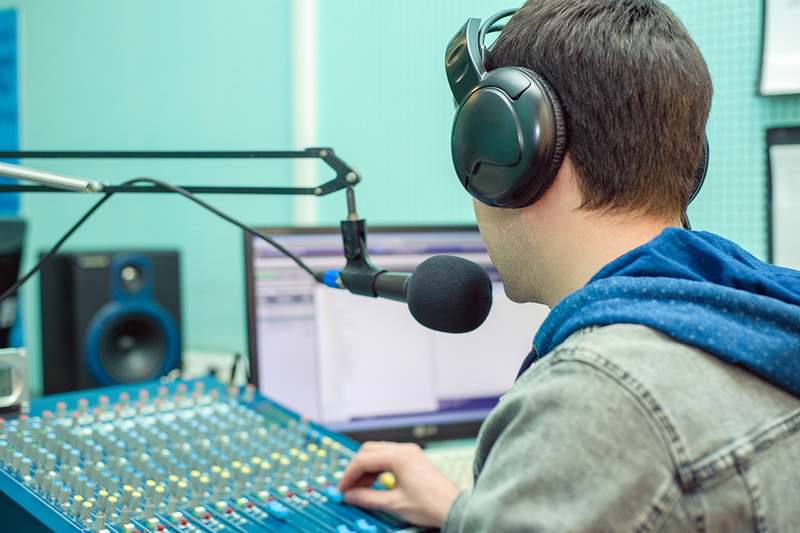 By writing out what you’re going to say on each topic, you can review your take before going on the air. If it’s not long enough, add more. Scripting also allows you to choose words for maximum impact. However, give yourself permission to deviate from the script. You might come up with a great thought while reading the script. When you’re driving on Interstate 5 from San Diego to Los Angeles, it’s okay to get off the freeway for gas as long as you get back on so you can reach your destination. Jim Rome and Colin Cowherd script their takes. I scripted my takes at ESPN Radio – granted, not nearly with the success of those two guys. I preferred solo hosting. It allowed me to steer the show in whatever direction I wanted. It was easier to do interviews for the same reason. Don’t fear hosting solo. Embrace it. Good advice Jon as normal. On the last one, I’m more of a bullets guy. I never could do the full on scripted take did a full segment. Feature or update? No problem but a full 12-14 min talk segment I never could. How did u write out a full segment and still sound natural the whole time?